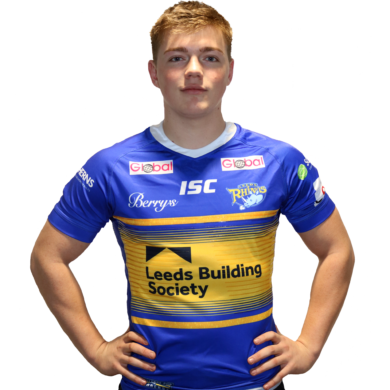 In August 2018, Leeds Rhinos announced they had agreed a three and half year contract with young star Callum McLelland having agreed an undisclosed fee with Scottish Rugby to bring the Pontefract-born youngster back home to the thirteen-man game. A product of Castleford Academy, McLelland signed for Edinburgh Rugby in November 2017. He qualified for Scotland through a grandfather born in East Ayrshire and gained eight caps for Scotland U20. A product of the Castleford Tiger’s academy, he represented England Rugby League at U16 and U18 levels before switching codes in 2017. McLelland played rugby union up to the age of 13 before focusing on league, representing the Lock Lane ARLFC club and attending Castleford Academy School. He captained England U16s last year, helping them to two-match series win against France in October, scoring a match winning drop-goal in a 19-18 victory in the opening game. He will be part of the Rhinos first team squad for 2019 but is also still eligible for the Under 19s squad in 2019.